I’m being bold on the blog today and changing things up. 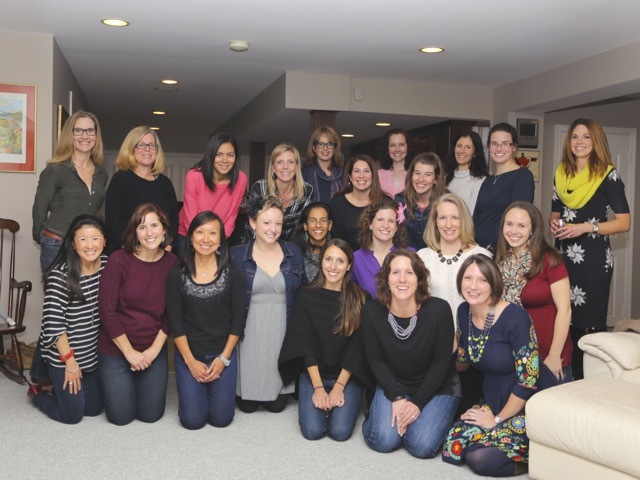 Last night’s MRTT Give Thanks to our Chapter Leaders party was so much fun that I’m starting with it! First off, don’t we clean up nicely? Not a single ponytail in sight! After a couple of hours of great food and drink, and even better conversation, we paused to thank Erin and Amanda. They are such a blessing to all who know them, and I am honored to be able to call them my friends. 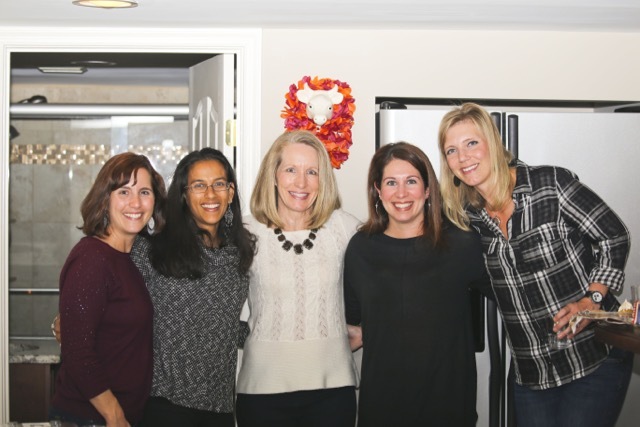 We gave our leaders a variety of gifts including a book each with pictures of fun MRTT runs and races, and memory jars with notes from each of us. All came from our hearts and we hoped our gratitude would shine through. 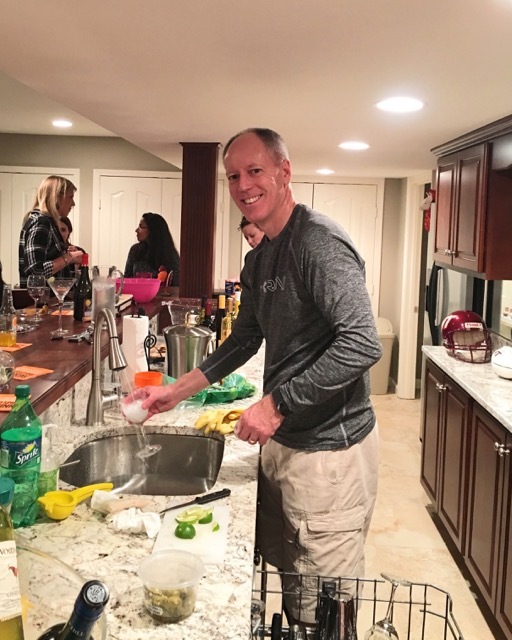 Bill was a trouper and played bartender until we needed a photographer and then he pulled out his camera. After taking pictures, he cleaned up the bar! 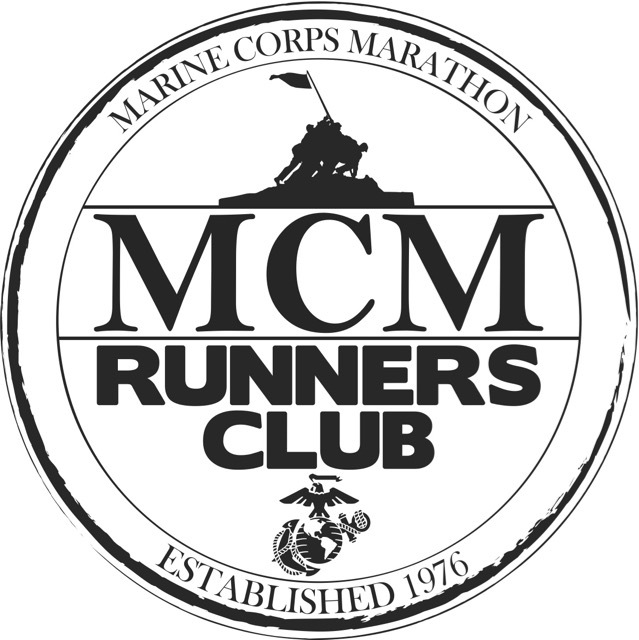 For that, he just might be made an honorary member of our MRTT chapter! Bill took lots of pictures, some posed and some candids. 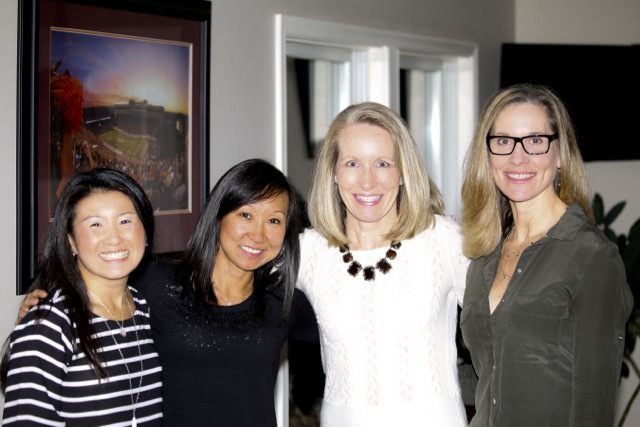 Here I am with Jessica whom I haven’t run with since she had her baby three months ago, Tracy one of my early morning regulars, and Kathy, one of my speediest friends. 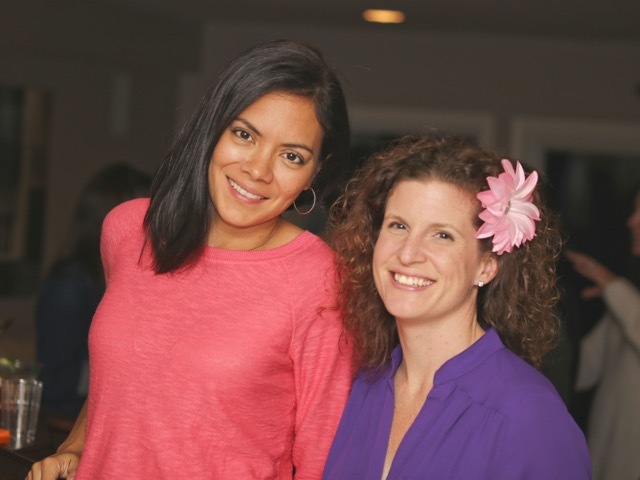 I love this picture of my super fun Ragnar Trail Appalachians WV teammates Lupe and Gayle. Gayle was my team captain at WV, and Lupe will be my captain at Richmond. And here’s Nikki, Neema, Vanessa, Kim, and me with Daisy photobombing us. Daisy has a maroon and orange lei she wears in the summer and a maroon and orange knit scarf for the winter. The party was a huge success thanks to everyone who attended, shared their culinary delights, and contributed too many bottles of wine. Here’s just one of the many cute and delicious contributions! Back to Monday… Monday started out great with a fantastic report from my dermatologist. 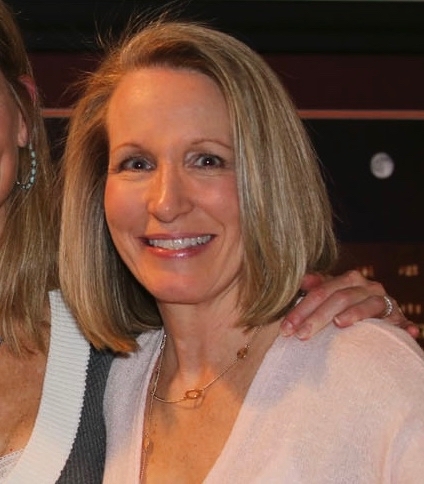 For the past sixteen years I have been seeing Dr. Ha two to four times a year for full-body skin cancer checks. I’ve now gone one year without any new basal cells or melanomas, something both Dr. Ha and I are very happy about. 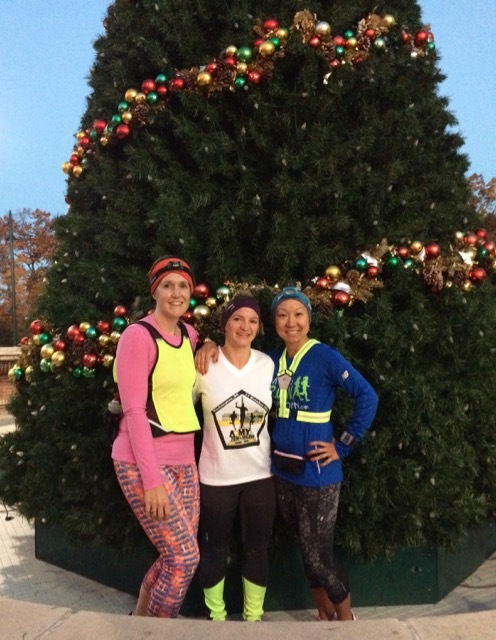 Tuesday morning at 5:30 as we were heading out for our run – me in my shorts and short sleeved shirt – we saw a Christmas tree lit up at the shopping center we run by. On our return trip we stopped for a picture even though the lights had turned off. 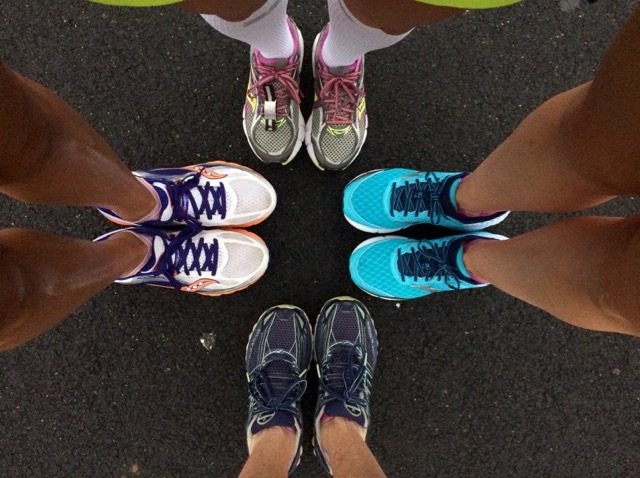 We ran five miles at a 9:52 pace, and shared Halloween candy stories along the way. Tuesday’s run ended up being the coldest of the week with the temps in the low 40’s. 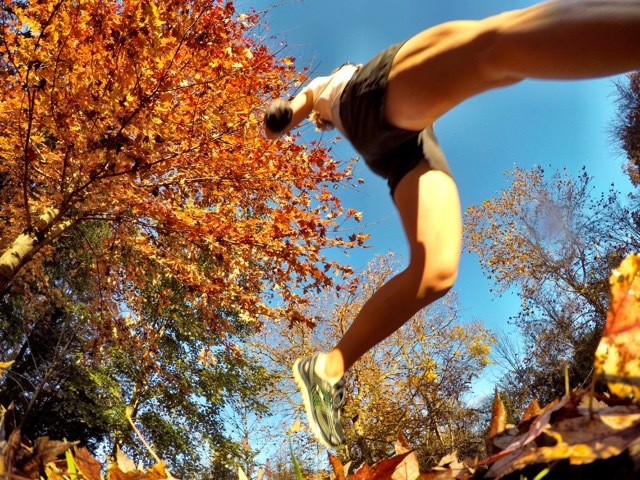 Once we finished running and I got home, I pulled my GoPro out for some pictures in our back yard. Now that the mornings are darker, it’s tough to get good GoPro pics until it’s just a little brighter. Each day the temperature got a little warmer. By Thursday morning it was about 62° when we ran so even my friends were wearing shorts! November 5th and we were sweating heavily in the humid air. Surprisingly we ran at a faster clip than on Tuesday. We finished 6.2 miles at a 9:27 pace. Friday morning started bright and early with some lifting before my first client arrived. Friday’s strength training session was my third of the week, and it felt good to be back into a consistent mode. How was this past week’s weather where you live? If you drink, do you prefer beer, wine, or cocktails? What a great week of running! Funny you shared Halloween candy stories after taking your pic by a Christmas tree. The Christmas lights are already up through downtown here and it’s not even Thanksgiving yet. It will be here before we know it though. The weather here is unseasonably warm, but we’ve gotten a lot of rain this weekend which seems to be cooling things down a bit. I ran my first 10 Mile race this weekend. 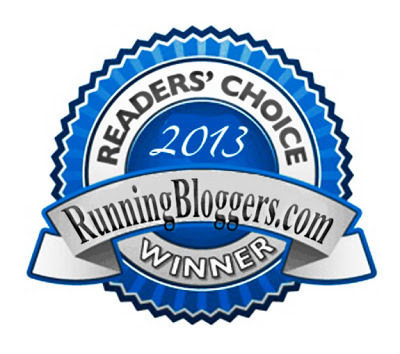 I used it as a training run for my second marathon. I had a great time! I love using races as training runs. Glad you had fun! I wish we had that MRTT here! I’m sure there’s a chapter somewhere in the ‘burbs, but none in the town where I live. What a lovely party and sweet gesture. I hope Bill got a lot of tip money. Margaritas are my drink of choice, although I’m not opposed to a martini. It is not Fall here. When it comes, I expect it to last 3 days. I’ll have to get my camera ready. I’m just not ready to see Christmas trees yet. Let’s give thanks first. I appreciate you linking up with us. Margaritas are usually my drink of choice as well. I do enjoy a good non-traditional martini, though, like lemon drops, blueberry, and now Mexican. I enjoy fall and Thanksgiving so much that I don’t want to rush through them, either. Wow, great photos and looks like an awesome party! I agree Bill should be an honorary member! The go pro photo is really cool. I keep thinking about getting one and then I forget about it…I don’t have the energy for a learning curve on another piece of new technology quite yet…but getting there! Bill gave me the GoPro last year for my birthday so I’ve had it 51 weeks. Even though I really wanted one, it intimidated me at first and it took me about six months before I embraced it and decided to figure it out. It’s not as intuitive as some of my other gadgets are and that annoyed me! I’ll pass on your photo compliments to Bill. What a great week you had an event. That was so nice of a gift! The weather here just sucked but I did make it better with a cocktail yup that’s my choice. I too wish we had a MRTT our city is just too small. 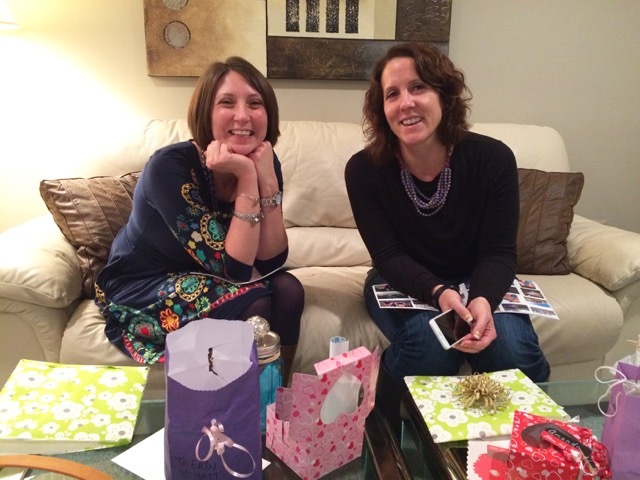 Thanks for sharing an linking up with us. Appreciate you!! Thanks for providing the linkup! I enjoy it! I hope your chapter is as appreciative of you as we are of our co-leaders! Love the photos and party!! It’s always a special occasion when you see a runner with her hair down. 😉 I did race this weekend but it completely sucked!! Temps were horrendous. Savannah was AWFUL! But, I’m dusting it off and moving on. Temps here have been so bi polar. It’s been rainin a lot too. Need sunshine!! Weirdest November yet. I’m not a huge fan of winter anyway but I know it must come eventually…. Have a beautiful week!! Thanks! We had so much fun, and yes, it’s always fun to see running friends out of their running clothes. Such glorious weather all week! Such a treat to run in a tank on Thursday! And then things cooled down to just about perfect running weather for my race yesterday (like how I sneaked that in there?). Today was rainy and Thursday’s supposed to be rainy, but I’m trying not to grumble considering how gorgeous last week was! Glad you had great racing weather on Sunday, and yes, I loved how you sneaked that in there! 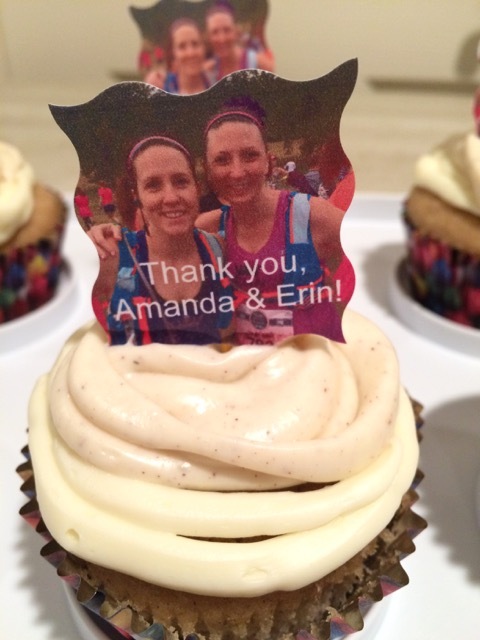 Awww-what a sweet gesture to the MRTT leads! It looks like you ladies had a wonderful time. Nice week of running. Those Go Pro pics are soooo cool!! I am so wishing for those temps from last week! Me, too… Today’s drizzly mess was quite the contrast to last week’s glorious weather. The temperature has been fluctuating like crazy lately! It got as warm as 80 last week, and then progressively got colder all weekend until ultimately it was hovering right above freezing and pouring rain on Monday. Sheesh! I am already seeing Christmas decorations up, too. They have them up in town, although nothing is being turned on yet. But I am also seeing some folks not only getting their outdoor decorations up, but turning them on already. It’s so early still! I haven’t seen any home decorations up outside yet, but the stores (even the grocery stores) are fully decorated. Michaels was playing Christmas music when I was there on Friday. I have so many friends from my running group who are running the Richmond full and half on Saturday. Hope you guys have great weather! WOW That party looks like a blast!! I”m sure they appreciated it so much! 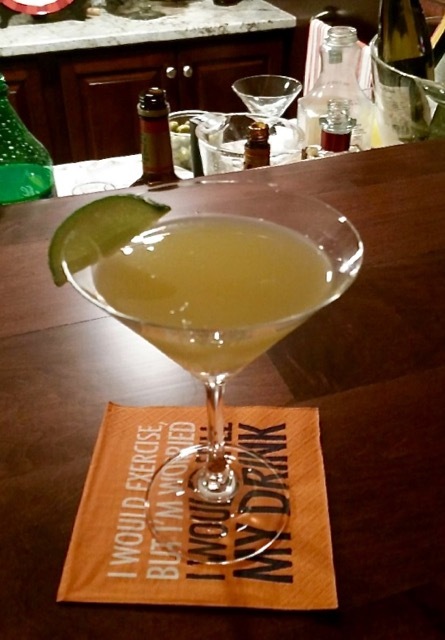 And cheers to the bar tender photographer – he did a great job with both. I need friends that throw parties like you do! My husband and I do love to entertain and are always looking for a good excuse to throw a party!